Baking soda is a versatile cleaner. You can use it to meet many of your kitchen and household cleaning needs. It can be a great component for make safe homemade cleaning products and supplies. For one, you can use baking soda as your dish washing supply. If you wash dishes by hands, you can just dip the sponge into some baking soda and clean the dishes with it. If you have a hard time removing fat and oil off your dishes, mix baking soda with mustard and water. This would help you easily remove fat and avoid using surface active toxic substances, which lead to cancer development. You can make a homemade paste for cleaning your toilet and bathroom. Mix some baking soda with soap. You can either use liquid soap or grate soap bar and mix it with the baking soda. Add some water and rub your bath tub and toilet with this paste. Unlike many over the counter cleaning supplies, this homemade cleaning product does not leave a toxic substance residue in the bathtub. This means, you keep your skin and body safe from getting intoxicated with those chemicals. Besides, baking soda and soap mix cleanses your bathtub sparingly and keeps it nice looking and functional for a longer time. 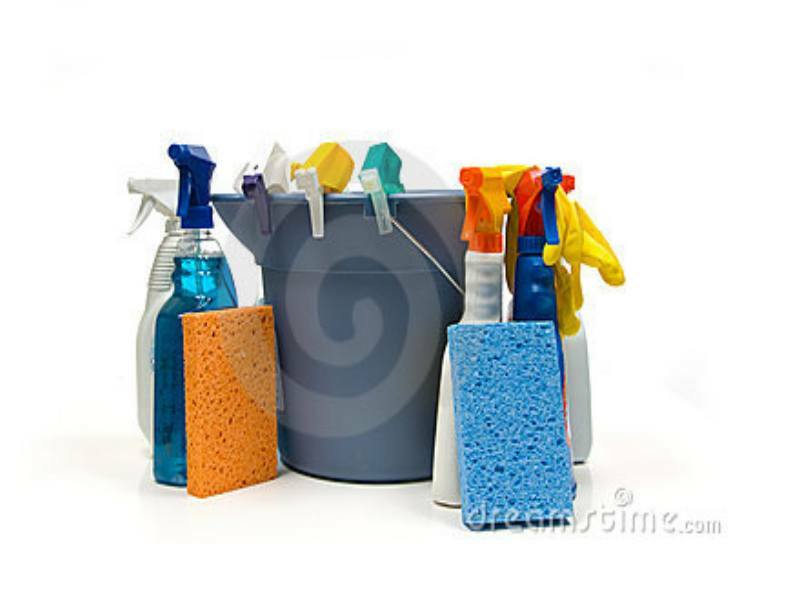 One of the easiest things is to make a safe and non toxic spray type homemade cleaning supply. You just mix some water with white vinegar. Mix them in one to one proportion and pour into an old spray bottle. You can use this spray to clean most things in your kitchen. You can clean your sink, countertops, windows, oven or stove surfaces, etc. Most furniture polishes or waxes contain toxic substances. To avoid this, you can use a very affordable and easy to make furniture polish. Use a mix of lemon juice and olive oil. Lemon contains acid, which removes fat and dirt off your furniture, while olive oil adds it a touch of shining and gloss. If you just need to clean the furniture, you may rub it with the lemon, cut in half. As you may see, these homemade cleaning products are really easy to make and safe to use. They do not contain any toxic substances and do not threaten your health. Besides, they save you money, as most of such homemade cleaning supplies are much cheaper, than over the counter cleaning products. This entry was posted in Tips On Clean House and tagged busy mom, green homemade cleaning supplies, green life, health, house cleaning tips, housekeeping, living green, mom help, non toxic home cleaning supplies, tips for moms. Bookmark the permalink. Well i generally use home cleaning products because they are the eco friendly, it is the best use of home cleaning, The natural cleaners like white vinegar and baking soda. Using these natural products to clean the window, bathroom, kitchen or the glass surface area and it is quite easy to use. Great Article! I think it’s very important to use less harsh chemicals especially now-a-days I have been using baking soda etc. for years and house is clean and odor free. Thanks for this post. I like your home made cleaning product for cleaning bathroom and toilet. I am experiencing some bad odor in my bathroom so I was searching for non toxic product which would help me in cleaning my bathroom.